KOSCIUSKO — A Laketon man is facing charges after reportedly biting a man. 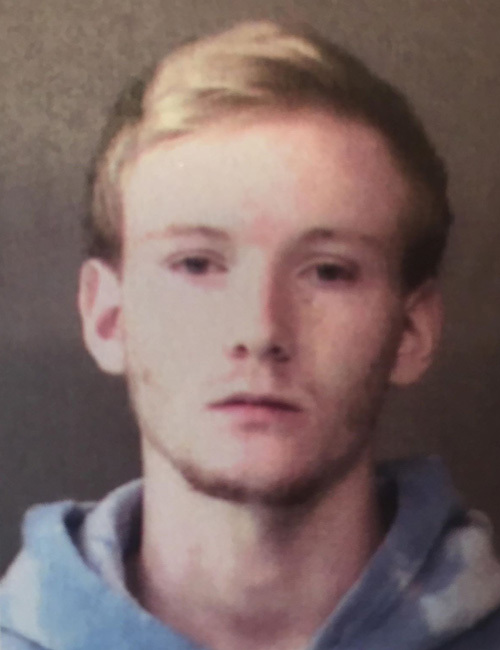 Casey Jakob Azbell, 19, 10234 North Troyer Road, Laketon, is being charged with battery resulting in moderate bodily injury, a level 6 felony. According to the affidavit of probable cause, on April 15, Warsaw Police responded to a report of a male subject being out of control, possibly on drugs. When officers arrived on scene, they found several people gathered in a hallway. A male was physically restraining another male subject, identified as Azbell. Officers advised that Azbell was talking strangely and appeared to be high on some type of drug. Officers spoke with the other male, who stated he heard yelling and screaming outside his hotel room He said he went outside to investigate and that Azbell appeared to be high. The male reported that Azbell “flipped out” and headed toward two other people. The male stated he stepped in and took Azbell to the ground to restrain him and at that time Azbell bit his cheek. The male advised that Azbell continued biting and would not let go and that he had to literally pry Azbell off of his cheek. The male was treated at the hospital for his injuries. Azbell was booked in the Kosciusko County Jail Thursday, Aug. 23, on a $10,250 surety and cash bond.